Even with the best components, you won’t enjoy as rapid payback on your investment if a solar panel system installation poorly performed. Additionally, there can be safety issues. You won’t have any of these concerns if you engage solar power installers from Energy Matters! Whether you’re in Hobart, Bendigo, Bundaberg or Broome – wherever you are located in Australia, we likely have a solar panel installation specialist near you. We have a huge accredited solar installer network and wherever possible, Energy Matters utilises local professionals – it’s one of the many ways we strive to support local communities. Read reviews of our solar installer team, contact our team for free, no-obligation advice or get a quick solar quote today! Don’t see a solar panel installer close to you on the map above? Ask us, the map is a little old and we’ve boosted our coverage substantially in recent times; plus we’re constantly adding to our installation network! Our installers are the very best in the industry, having executed literally thousands of projects over the years. When you install solar panels from Energy Matters, you can rest assured you’re not only getting the very best solar power equipment available, but also the best solar installation services from highly competent tradespeople. All of our solar installers have Clean Energy Council (CEC) accreditation. This nationally recognized accreditation means our team have demonstrated their competence to design and install solar panel systems, are aware of industry best practice standards and all relevant Australian Standards. Energy Matters also has additional standards above and beyond what is required that our team of professionals adhere to – and we don’t let someone on your rooftop who doesn’t have the appropriate installation experience as well as qualifications. We are also one of the founding signatories to the Australian PV industry’s Code Of Conduct and have one of the largest number of accredited installers with extensive experience working with home and commercial solar panel systems in Australia. We even execute projects for other companies when they require additional capacity on large solar installations or in remote areas. If our competitors utilise our expertise, then that is a pretty good indication of our team’s abilities and attention to detail! Read what some of our very happy customer have to say about our services. 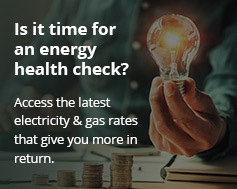 Join more than 20,000 Australian households generating their own electricity and slashing their power bills with a solar panel system installed by Energy Matters! Contact our friendly experts for free, no-obligation advice or get a quick solar quote. Beat electricity price rises, boost the value of your home and help the battle against climate change – make the very wise decision to install solar panels today!